George Orwell’s bleak visions of the future, one in which citizens are monitored through telescreens by an insidious Big Brother, has haunted our imagination long after the publication of 1984. Orwell’s dystopian image of the telescreen as a repressive instrument of state power has profoundly affected our view of technology, posing a stark confrontational question: Who will be master, human or machine? Experience has shown, however, that Orwell’s vision of the future was profoundly and significantly wrong: The conjunction of the new communications technologies has not produced a master-slave relation between person and computer, but rather exciting possibilities for partnership. 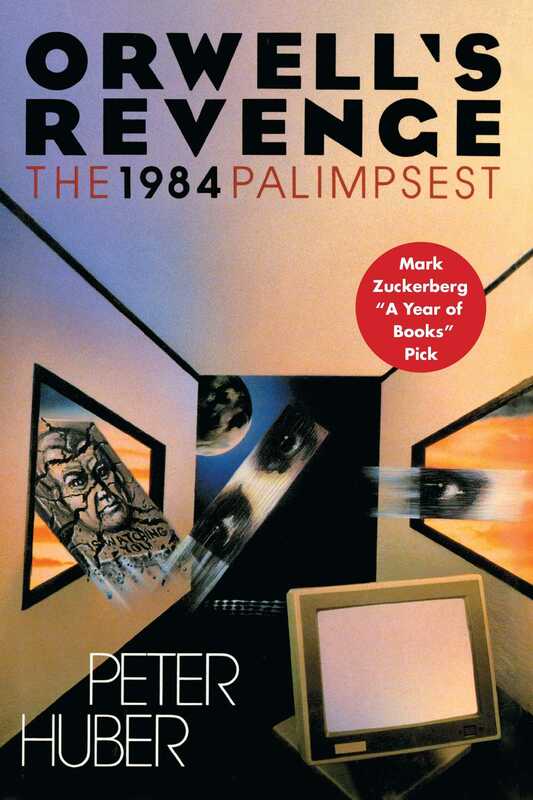 In an extraordinary demonstration of the emerging supermedium's potential to engender new forms of creativity, Huber’s book boldly reimagines 1984 from the computer's point of view. After first scanning all of Orwell’s writings into his personal computer, Huber used the machine to rewrite the book completely, for the most part using Orwell’s own language. Alternating fiction and non-fiction chapters, Huber advances Orwell’s plot to a surprising new conclusion while seamlessly interpolating his own explanations and arguments. The result is a fascinating utopian work which envisions a world at our fingertips of ever-increasing information, equal opportunity, and freedom of choice.